Keep Lily Beetle at bay with this Wildlife-friendly, Eco-friendly, Child and Pet-friendly, all-natural lily Beetle prevention solution 'Grazers'. Grazers will also strengthen and stimulate the plant growth. 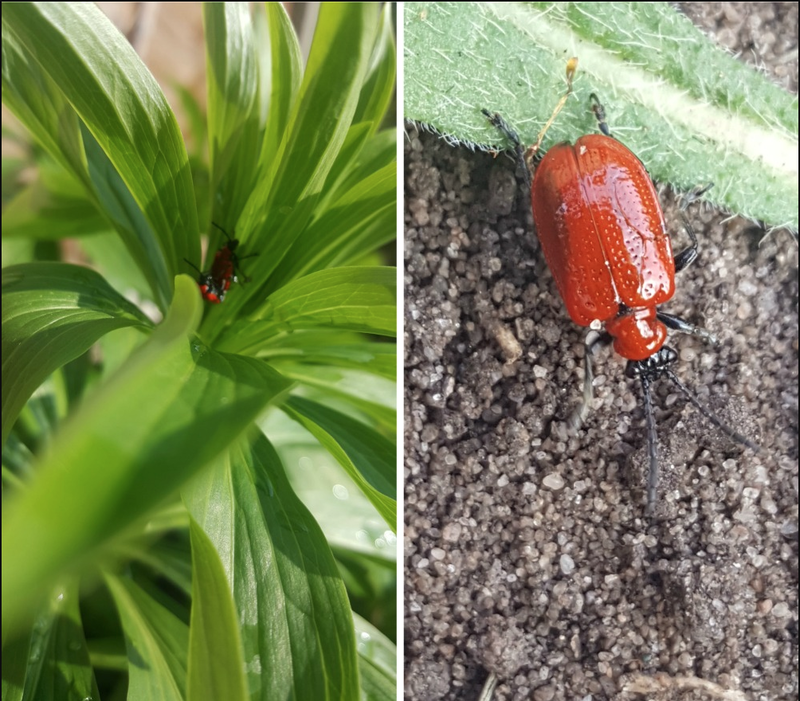 This scarlet coloured pest can feed on lily and fritillaria foliage in spring to early summer. 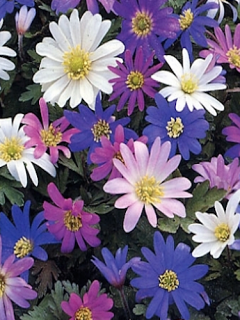 Bulbs can become under-sized and flowering the following year can be jeopardised. These pests can be seen in their various stages of growth and are all equally dangerous. Reddish brown eggs lead onto grubs and then finally to bright red beetles with black head and legs. Spray every 7-10 days upon first sighting (from March onwards). Spray every 7-10 days from first sighting (from March onwards). What can I feed my lilies with? 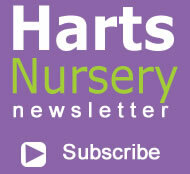 Can you feed lilies with anything to stimulate growth? What do you suggest feeding your lilies with for best results? 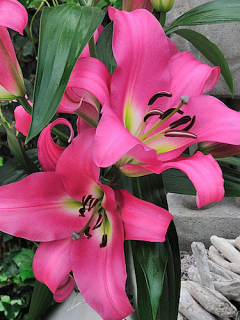 We recommend feeding all lilies with a tomato feed as soon as you see signs of growth. 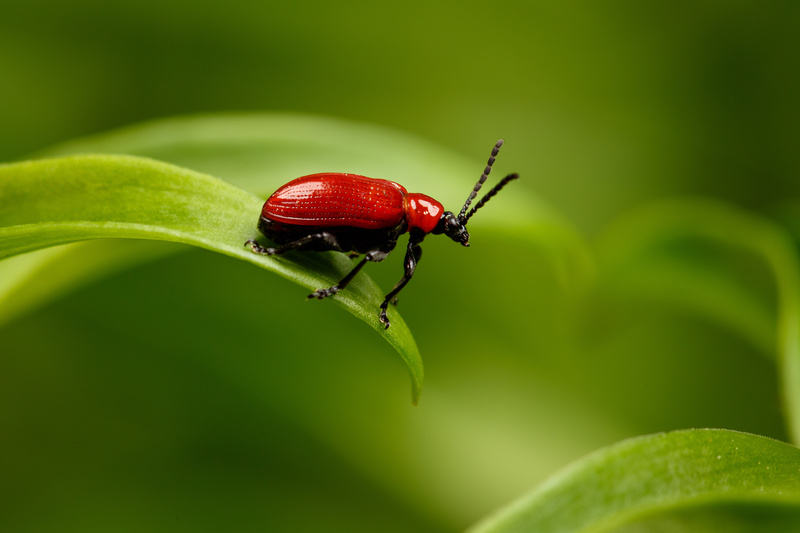 We also recommend using the Lily Beetle Prevention spray that not only prevents the lily beetle from ruining your foliage but it can also encourage strong growth of your lilies. 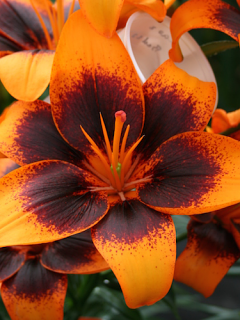 I’ve just placed an order for an assortment of lilies but am wondering if you can recommend something for the prevention of Lily Beetle infestation? I generally pick them off by hand when I see them but with my new order, this will be rather time consuming in the future! How do you control them? Looking forward to hearing your sound advice! 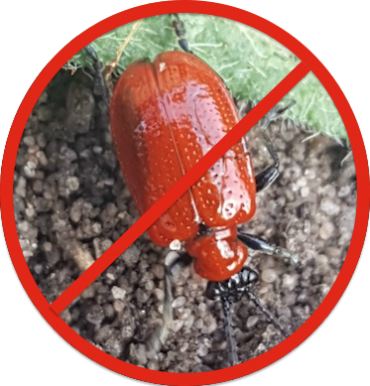 We now have a Lily Beetle Prevention spray that we highly recommend to keep the lily beetles at bay. The solution is Wildlife-friendly, Eco-friendly, Child and Pet-friendly.